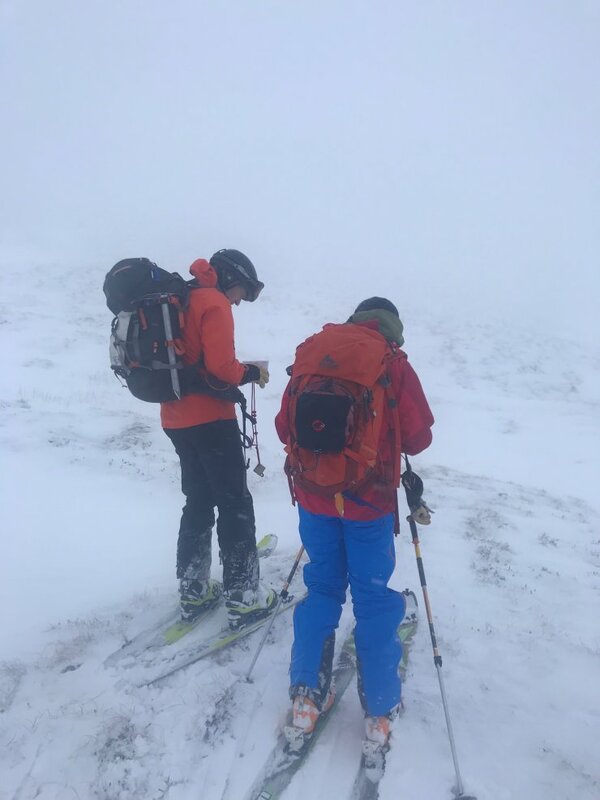 Well it was a very different day today – with the cloud base below 600 metres there was no visibility on the hill – navigation skills definitely played a part in the day’s proceedings. 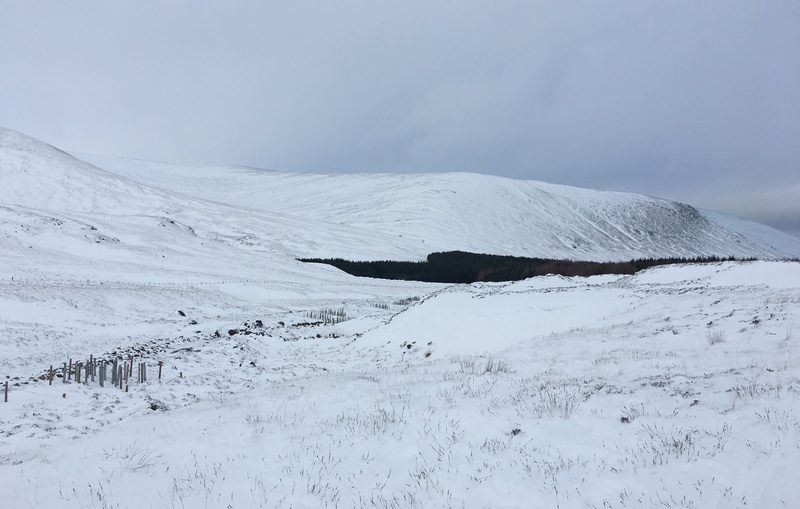 There was light snowfall and persistent drifting going on with deposits being redistributed from Southerly onto Northerly slopes today. Significant windchill as well with any exposed skin quickly becoming painfully cold. 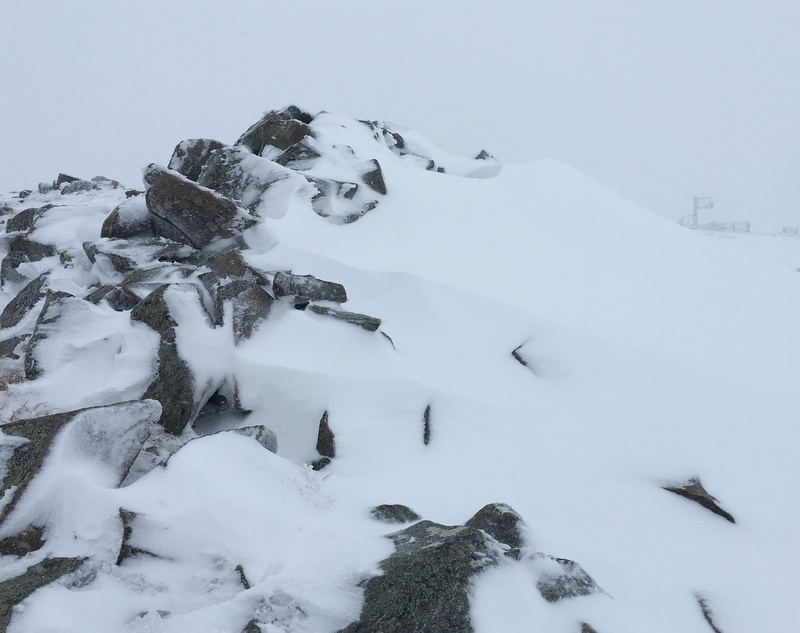 Quite a complicated weather forecast for the next 24 hour period with a reasonably significant amount of snow forecast on strong winds – however the freezing level is going to do a quick ‘blip’ up to around 1200 metres before dropping back down to 700m again. 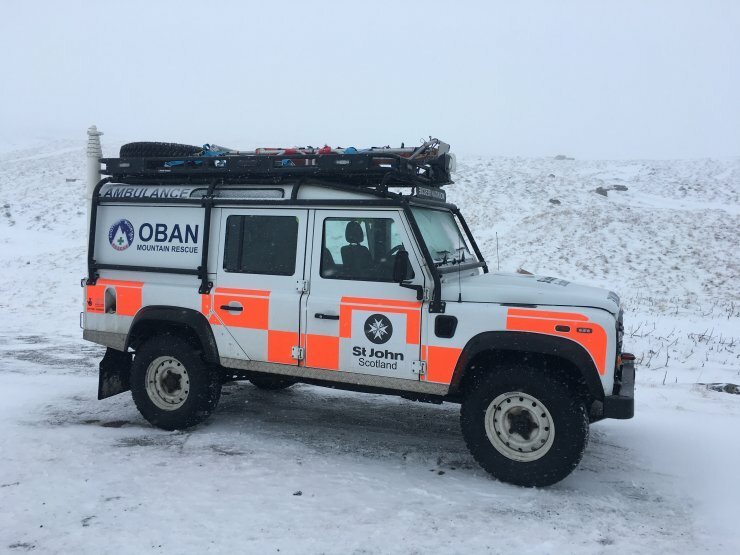 This is all supposed to happen in the early hours of the morning so any avalanche activity would occur while most of us are still in our beds! Any deviation in terms of freezing level and timings will affect the hazard level so try and have a look at an evening weather forecast for the most up to date information if you plan on going out tomorrow…. 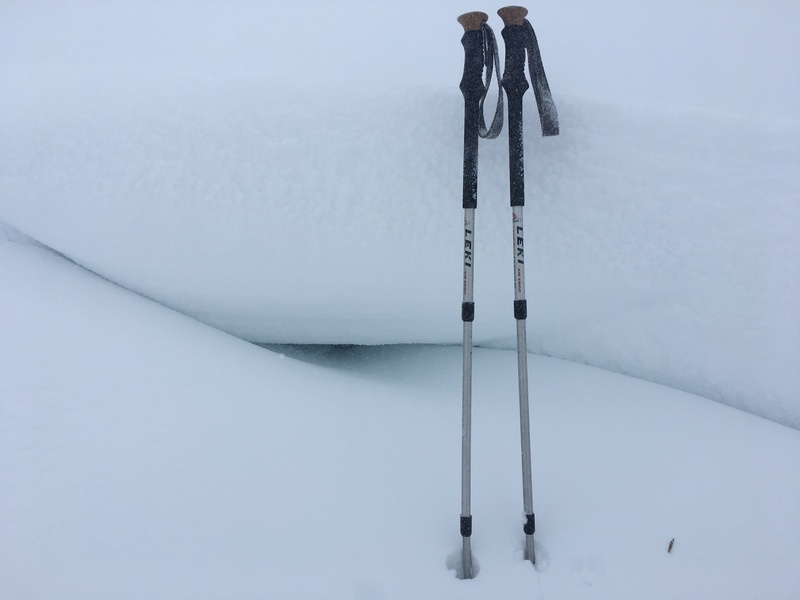 Ski touring required navigations skills today. Thanks to Bill from Braemar MRT for the photo. Cover is still quite thin and we could do with a lengthy period of snowfall to fill in the heather. New drifts were forming today behind sheltering features. Deep drifts starting to form on Northerly aspects. 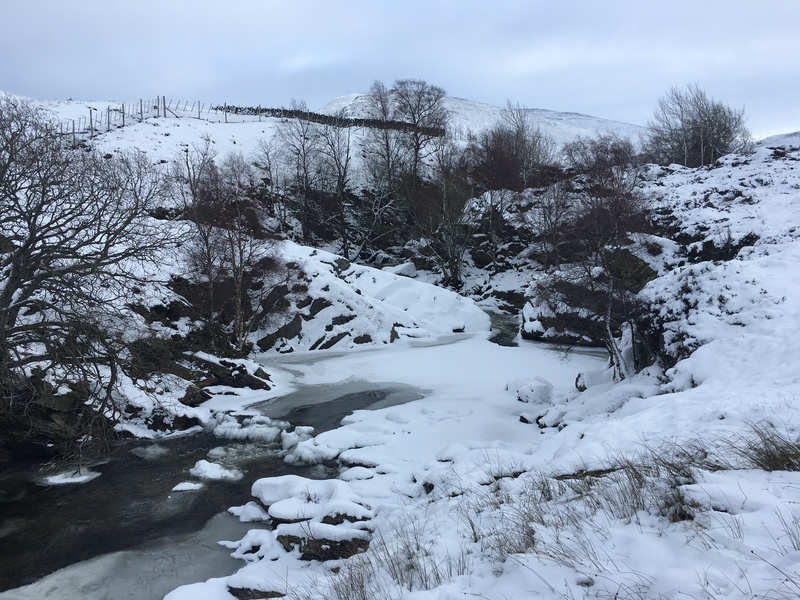 Ice forming over Callater Burn at 380m.